As many of you know, I love making breakfast every morning. But what I love more than just making breakfast for myself is when I am able to share my breakfast creations with friends and family. When Assistant Director of Editorial Services & Social Media at SLU, Meg Bernier, wanted to meet to discuss my Breakfastwithbex blog story for the St. Lawrence website as well as running the @herewegosaints account this week, I decided to offer up an opportunity unlike our typical coffee dates at the new café on campus. “Are you available at 12:30?” Meg wrote over email. “BREAKFAST WITH BREAKFASTWITHBEX?! I’m in!” she responded not even ten minutes later. As we talked in-depth about the story behind Breakfastwithbex, we enjoyed some freshly brewed blonde roast coffee and these filling and delectable parfaits, which are very easy to prepare in a college dorm with ingredients from the dining hall and pub! Grab these ingredients and create the parfait(c)t breakfast for you and a friend! In a small bowl mix together plain Greek yogurt with plain oats. Drizzle honey along the bottom of two glasses/cups such as these, then evenly distribute this mixture in the base. 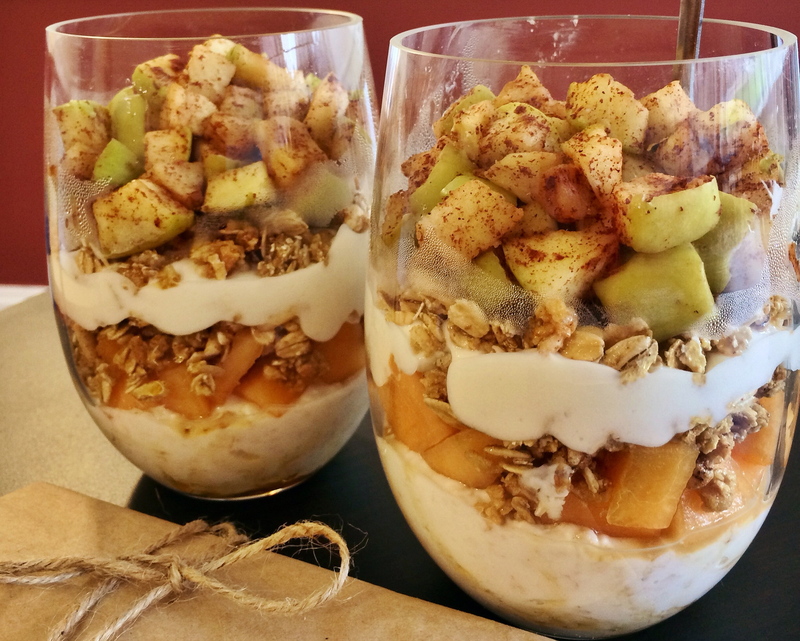 Dice up cantaloupe and layer that on next, followed by ¼ cup of granola in each glass. Then split the peach Greek yogurt between the two glasses for the next layer. Top with another ¼ cup of granola. Dice one full apple and place into a cereal bowl. 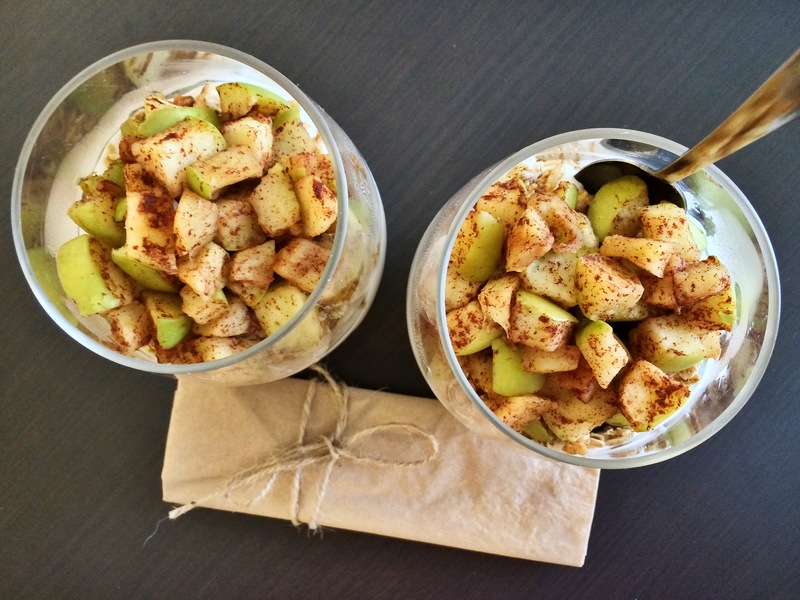 Coat the apple pieces with cinnamon and warm in the microwave for 3 minutes, stopping at 1.5 minutes to mix. Top your parfait with the warmed apple and bon appétit!